There was a Satyamev Jayate made in 1987 by Raj Sippy starring Vinod Khanna as an upright police officer who gets framed for murder and is transferred to the districts where he finds solace in alcohol and a prostitute played by that lovely actress Meenakshi Seshadri. I don’t remember much more of that film. It’s been 31 years since. 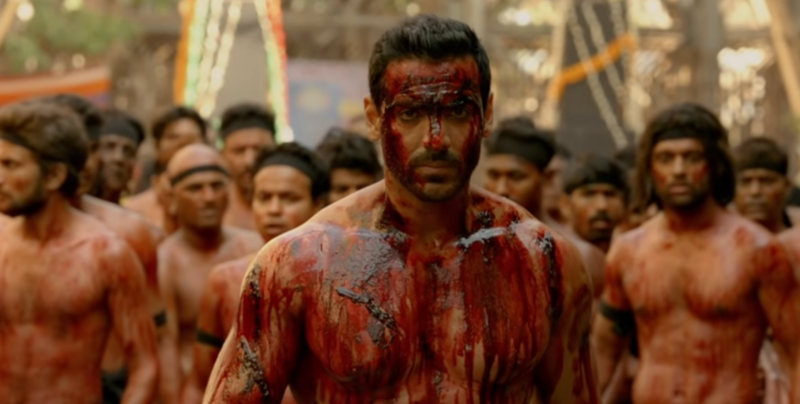 But I don’t think I will ever forget Milap Zaveri’s Satyameva Jayate that released today only because of John Abraham. This one reminds me of Akshay Kumar’s Gabbar Is Back (2015) and the Amitabh Bachchan-Shashi Kapoor blockbuster Deewar of 1975. If only because Satyameva Jayate has John playing a bitter and resentful artist avenging the suicide of his police officer father who was framed by other corrupt cops and set himself on fire before the tricolour on Independence Day. And Vir, that’s his character in this vigilante action thriller, gets his revenge by systematically killing corrupt cops in the Mumbai Police starting with the rank and file and going to the top brass. He burns them to death. Akshay in his avatar as Gabbar does more or less the same in the action drama that was produced by Sanjay Leela Bhansali. Deewar comes to mind because this, too, is a film of two brothers. One a model policeman, gutsy and non-corrupt, and the other – not exactly a criminal but a citizen wanted for taking the law in his own hands. The brothers are forcefully played by Manoj Bajpayee and John. And for most of the film, one does not know what the other is up to. So there’s a cat and mouse game going on with a lot of challenging dialogue in which Manoj gets to showcase the earthy talent he’s known for. John, on the other hand, comes into his own during the action scenes. And let it be said that this film could not have been made with another actor. Just as Hollywood would not have attempted Terminator without Schwarzenegger or Rambo without Stallone. John owns this film by his sheer physical presence and the kind of awesome, mind-blowing action only he can bring to the screen. There’s lissome Aisha Sharma as John’s date who makes a debut in Bollywood with Satyameva Jayate and has some intriguing scenes to play and the gorgeous Amruta Khanvilkar as Manoj’s wife, but otherwise the film is engaged by a frightened and bewildered police force in search of a killer who’s going after its corrupt. The story, written by Milap Zaveri himself, does go a bit awry in its depiction of the working and hierarchy of the police. But that’s compensated by the day and night scenes of the city. This is one film that did not need to go to Greece or Budapest for even its item song Dilbar that’s sensuously done by Norah Fatehi. 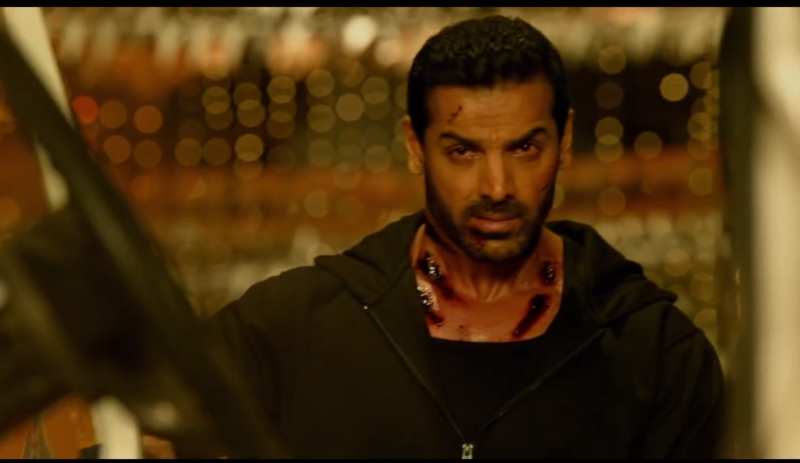 John Abraham fans will welcome the hunk back to the screen. His last film, Parmanu that released in May, had no action and in fact showed him getting beaten by a Pakistani ISI agent. With Satyameva Jayate, he gets to do what he’s best at: effortlessly lifting baddies and dashing them to the ground and ripping apart automobiles with his bare hands. He’s entirely believable. As for Manoj, after Baaghi 2 earlier this year he’s playing a cop again but this time he’s the good guy. Good guy or bad, his gritty dialogue is unmatchable. And the face-off between the two actors, a test of brawn and brain, is paisa vasool. It leads up to the moral of this story: that truth always triumphs.